After a freak blizzard destroyed my plan to ring in the new year in Bolivia last year, I decided to refund my ticket and spend it on something else with the friend I was supposed to visit. 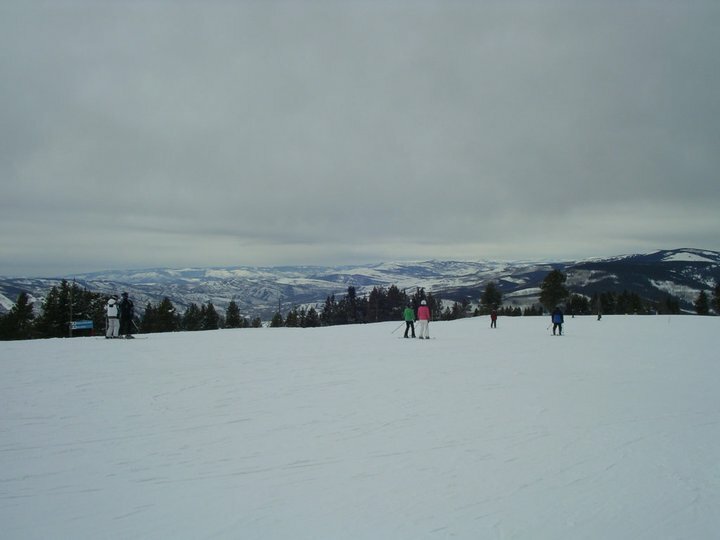 It had long been a goal of mine to go snowboarding in Colorado (fresh powder, big skies, the Rockies – what more can you want? 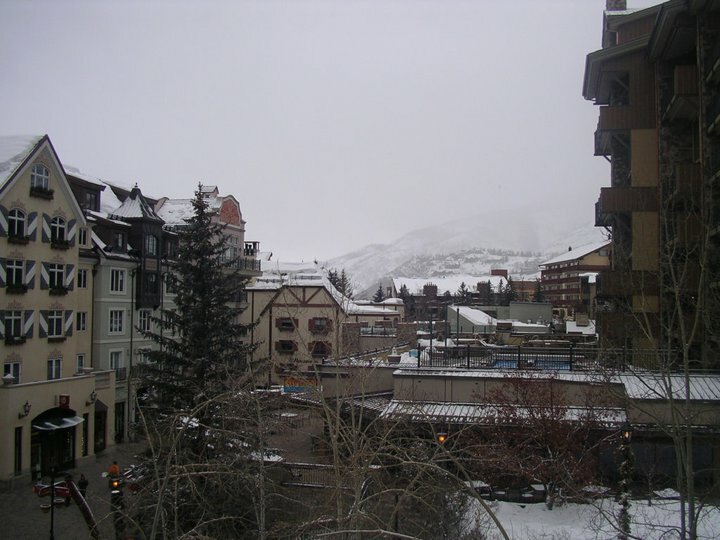 ), so after some research, we planned an extended weekend in Vail, Colorado. I was beyond excited, in a place so far beyond excited it’s usually reserved for women on their wedding days or mountain climbers preparing to summit Everest. 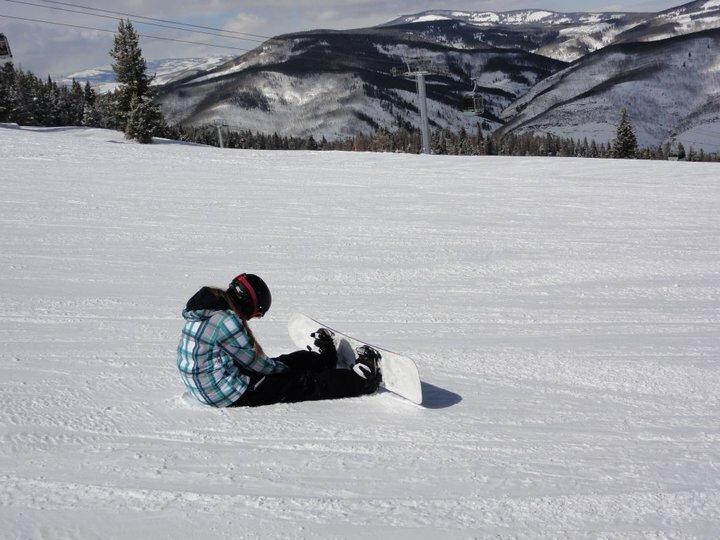 you've just called out of work and are heading to vail now, aren't you? Everything seemed to be starting off alright when Shar drove me to the airport on Thursday morning. I had insisted on leaving with hours to spare, familiar with my luck by now. Of course we got stuck in morning traffic en route to the airport, but we made it there finally. I was about to happily wave good-bye when I realized her car wasn’t starting. My flight boarded in 26 minutes. Torn between making it “out west” and being a good friend, I suffered a vicious moral struggle and finally asked some folks nearby to jump the car. They happily agreed, but it wasn’t the battery. Relief was short-lived. Still torn and now plagued with guilt, I left my friend with a dead car in the passenger drop-off lane. I felt my luck begin to change on the plane, and as I navigated the chilly Denver airport and spotted many a man with a ten-gallon hat, I began to feel content again. 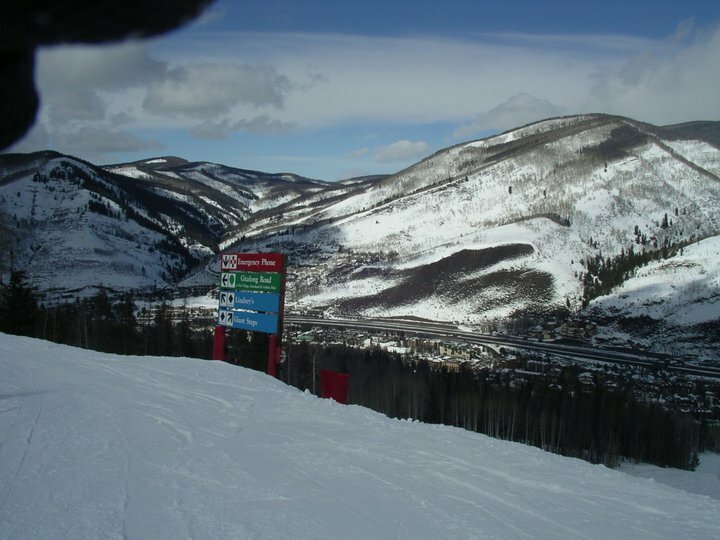 Now Vail, along with a plethora of Colorado’s other famous and attractive ski resorts, lies about two hours outside of the Denver Airport by Route 70. 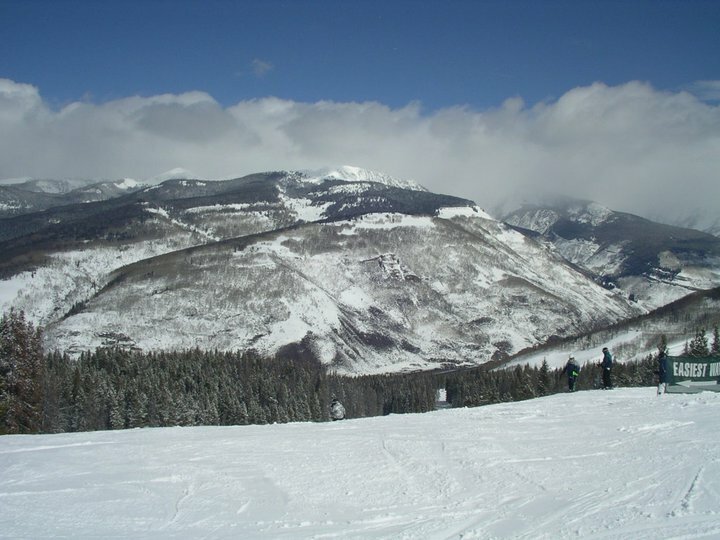 The Colorado Mountain Express services all of them, and is a reliable shuttle that you can book in advance to take you and your gear to the resort. As I waited with a handful of others for our shuttle to arrive, I struck up a conversation with a guy next to me, and we instantly clicked. His name was Ryan, he was from around the area, and he had lots to say about the resorts and Denver itself. As we boarded the shuttle and set off for our two hour trip, Ryan provided me with running commentary about our surroundings that was laced with his own experience and stories. Suddenly the trip became exciting again. As the Colorado Mountain Express shuttle rolled through the mountains at an efficient speed, I began to envision what it would be like walking through the doors into the condo lobby. A multitude of cinematic scenarios played out in my head. We had a half an hour to go, so I settled back in among the seats and resumed conversation with Ryan. We had just passed a resort on the right and were heading into the mountains again when I noticed the van begin to slow down. Our driver, Sidney, muttered something into his radio and then turned around. “Looks like Vail Pass is closed,” he told us. “We’ll have to wait and see when it’s going to reopen.” To add salt to our wounds, we later discovered that the pass had been closed five minutes before we got there. We were literally the first car up against the barricade, but there were no police officers or people directing traffic who could tell us why or for how long. “Why don’t we just take another route?” asked one of the girls in the back. Overhead, the turbid gray sky continued to snow down on us. I waited – with patience at first – for any news at all. Our driver was listening to the radio and phoning the drivers of two other shuttles that comprised a convoy with us, but no one could say why the pass had closed. Had it been bad weather? Was it closed permanently? Traffic? We waited for a half an hour. An hour. An hour and a half. Behind us, the street was clogged with cars. The girls in the van became impatient – to be fair, so did I – and after two hours had passed, we asked if the driver could just take the longer way around the mountain. “We have to stay together,” he told us, radioing to the other vans. Finally, he was given permission, and we all cheered as he drove off the road. The second we rounded the corner to get back onto the road, word came on the radio that the pass had reopened. So our driver sped back up into the clogged traffic lane, despite the protest of horns from other drivers waiting their turn, and we arrived again at our spot to find it still blocked off. And now, there was no way to get off the road and turn around, as dozens of cars who had tried the same thing were now stranded in the jug handle. I did my best not to talk or complain. Ryan was infinitely bright and optimistic, and the girls in the van were annoyingly chipper as they teased the two-year old passenger, Everett, while raving about all the Malibu they’d be drinking later. The girl next to me sighed frustratedly and whined incessantly and I took an aspirin. I put my head down and tried to convince myself I wasn’t trapped in a van. Options? None. None at all. This was a helplessly confining feeling. There was no alternative. You had no choice but to sit and wait, and the longer we sat and the darker it got, the more certain I was that we were going to turn and head back to Denver or hole up in some shoddy motel somewhere. Forget the bluegrass show, the few hours on the mountain. At this point, all I wanted was to arrive. As snow began to fall more assertively, my cinematic entrance and greeting dissipated. 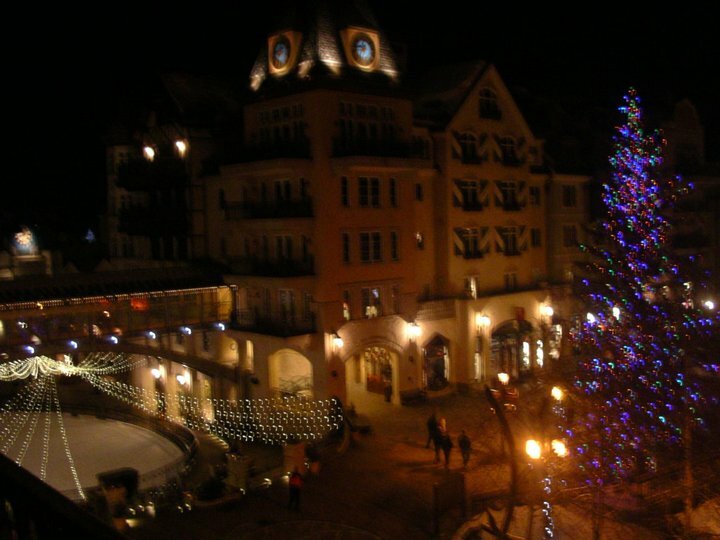 I had three days here in Vail, and if I didn’t make it there tonight, I’d be down to two. To say I was panicked and upset and claustrophobic were all understatements. Once darkness had set in, the road blockade was lifted. However, the mountain pass was still closed. Instead of circling around it, we drove about two miles in the opposite direction, zipping by a long lane of halted traffic waiting to get onto the pass. In a matter of minutes, we had turned into that lane and were waiting with them. For another hour. I sat with my head between my knees, struggling to stay calm while all the while wishing I could leap out and run up the mountain. I’m not sure when it happened, but suddenly the pass opened and we made it through, slowly but surely. The radio continued to stress that the pass was closed, but my new buddy Ryan assured me that we were, indeed, on the pass. A massive traffic accident had closed the pass, and it had taken almost four hours to clear it out. Snow was coming down and it was dark, but we were moving, and when we rolled into Vail at a little after seven, I was feeling so relieved and so happy that it didn’t matter anymore. And while my globetrotting skills may be severely impaired by some higher force, I can’t overlook or fail to appreciate the slim but formidable fortune I do enjoy from time to time.